Springer has just published the major reference work Neuroscience in the 21st Century, which explores the complex interplay between biological, psychological, and sociocultural factors of mental illness. As hundreds of millions of people worldwide are affected by mental, behavioral, neurological and substance abuse disorders, neuroscience research is a vital element in combating these conditions in their various incarnations, as well as in understanding the genesis of normal behavior. Edited and authored by a wealth of international experts in neuroscience and related disciplines, the aim behind this key new title is to offer a comprehensive introduction to, and an overview of, modern neuroscience. With coverage of both basic science and clinical issues, comprised of over 3,200 pages and 106 individual chapters arranged for use in lectures, Neuroscience in the 21st Century will serve as an important resource to students and researchers alike. Not only is this volume a boon to those wishing to understand specific topics leading to the future of neuroscience, but it also aims to encourage the initiation of neuroscience programs in places where these might not exist. 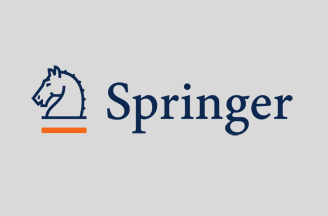 For this reason Springer has made the book available in developing countries via the HINARI Access to Research in Health program of the World Health Organization (WHO). Neuroscience in the 21st Century also features an appendix full of advice on how to develop neuroscience programs, and includes videos or movies submitted by leading researchers. The prominent supervisory editors and the authors, and their collective international composition, reflects the intention of the project to recognize the growing interest in neuroscience and research expertise across the globe.